We stopped in here for breakfast because I saw that they had quite a great menu for under $10 and back in April I did a Cheap Eats series and that’s how it got on my radar. Here is what I knew of the place. First and foremost there is no lake and no view, I’m still questioning if there is even a Rae that works here. The other thing I knew is that this was going to be more maybe bar like and maybe even diner food (which I’m not a huge fan of) but we decided not to hold any of those things against this so called “Rae” and check it out anyways. Comfy padded booths and games lining the walls makes it easy to sit a while. It was very much like a bar/diner, but at the same time pretty cool. We were seated and I noticed right away that there were all kinds of games that lined the shelf along the tables. Kinda makes you feel like they aren’t in a hurry for you to eat and move along. 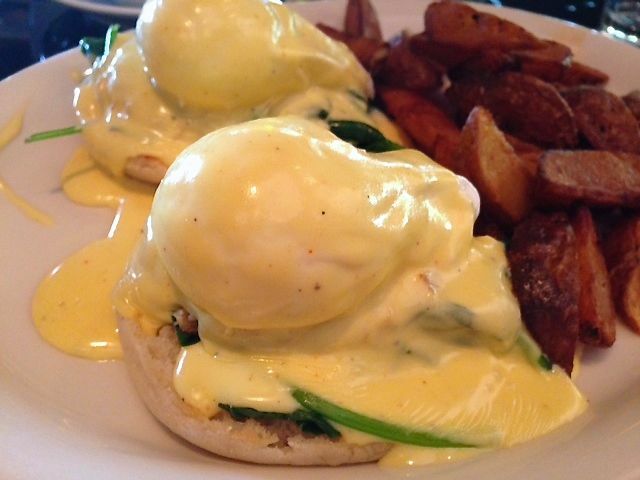 We quickly checked over the menu and as soon as he came back I ordered Dungeness crab benedict. It was fantastic and it clearly wasn’t what I would consider “diner food”. It was pretty typical with the English Muffin and sauteed greens and Dungeness crab all carefully draped with Hollandaise sauce. The potatoes were light yet crispy and I did not want any ketchup for them, instead I used them to mop up the last of the Hollandaise sauce. Perfect dish. My husband ordered the Corned Beef Hash. The corned beef was crispy and it added a great element to this dish. 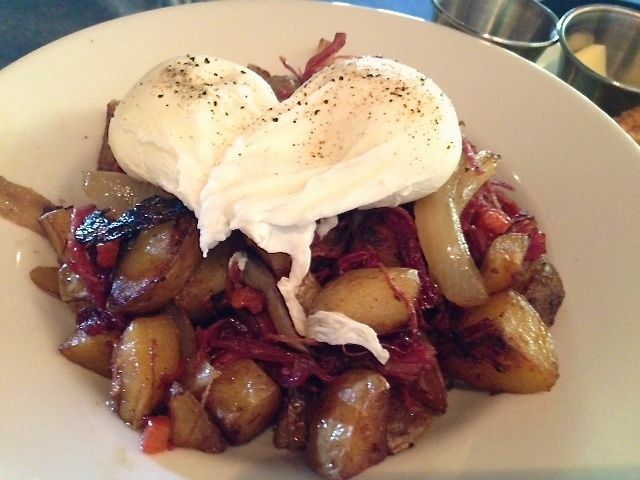 It was mixed with a lots of potatoes and tons of caramelized onions and topped with 2 poached eggs. Their potatoes are awesome. Atmosphere is definitely bar and diner, but it’s also a bit retro, so a fun place. I read reviews that it can get loud. We got there when it opened and left as it was starting to fill up. They have $4 Biscuits and Gravy, which seems to be a killer deal. I think there were only a few dishes over $10 and the benedicts were all in that category. Everything else was priced under $10. I had Numi tea, but they are known for their $5 bottomless Mimosas. 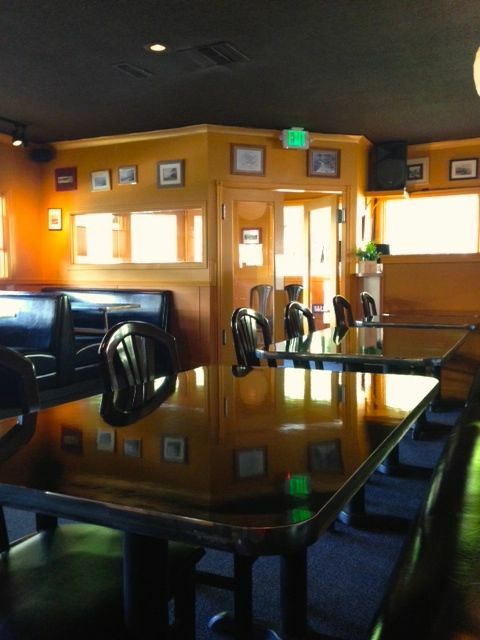 Rae’s Lakeview Lounge is located in the NW Portland.